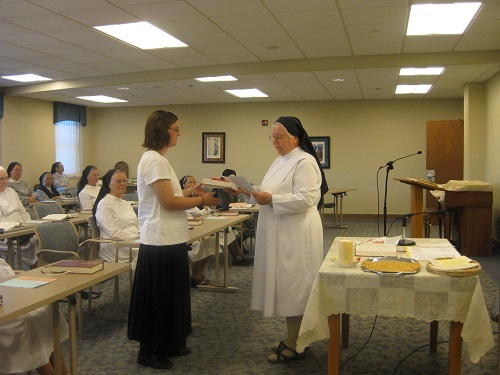 Sarah McMahon was received into the Postulancy of the Norfolk Priory of the Missionary Benedictine Sisters on September 24th, the anniversary of the Foundation of the Missionary Benedictine Sisters 129 years ago. 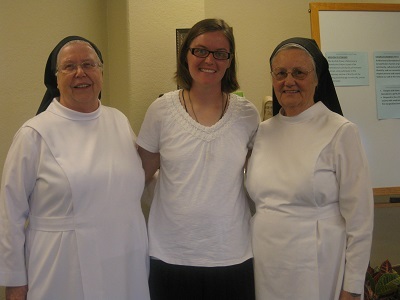 Sarah hails from Brandon, South Dakota and is a graduate of South Dakota State University. 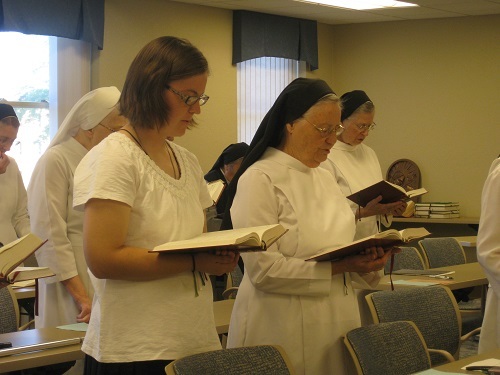 She was welcomed in a ceremony wherein she knocked on the door of the Chapter Room and requested entrance into the community. 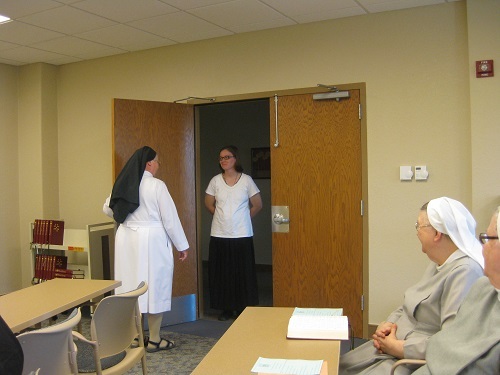 Sr. Pia Portmann, Prioress, opened the door and welcomed Sarah. 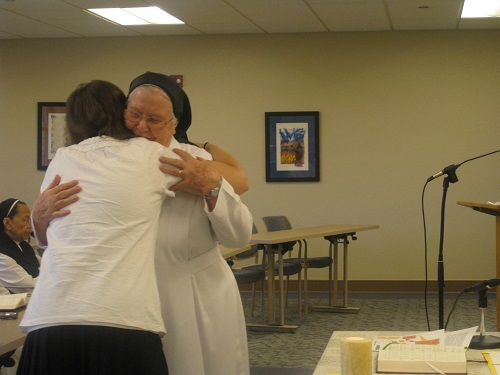 After some words by Sr. Pia, Sarah was presented with the Rule of St. Benedict and the Holy Bible and told to use these two tools as her guide as she progresses in community life.